Our clients mean everything to us. Through a collaborative, unified vision, we’ve done some great things together. Here’s what a few of our super awesome clients have to say. RockOn Interactive took our company’s outdated and underused website to a modern look and more user friendly which has resulted in a significant and steady increase in our viewership and sales. RockOn took the time to understand our goals and gave smart suggestions to meet all our complicated needs. RockOn continues to maintain our website and responds to our requests quickly and efficiently, keeping our maintenance costs to a minimum. We did it…the new California Hardscapes website is live! Big thanks to Mark Frey and the team for staying on time and on budget! You and your team did a great job and I’m looking forward to working with you again in the future. RockOn Interactive made it so easy for us to create the perfect website for Canzona Women’s Ensemble. They guided us expertly through every step of the process, and continue to provide great support and feedback as our needs change. As an artistic organization, it was important to us to find someone with a creative flair, who could share our vision of the Canzona image. We’re delighted to have RockOn Interactive as our webmaster! Mark Frey is a website designer, SEO guru and webmaster. I found him to be smart, ethical, patient, and reliable. He knows his stuff and is full of suggestions for improving a site and the amount of attention it gets in the marketplace. When we were in dire need to repair and ultimately build a new website, RockOn Interactive was incredibly competent and also efficient, building an entire whole new website in record time. We where further pleasantly surprised about the very reasonable charges for this expedient and excellent job. We only can recommend these guys for having been not just efficient and knowledgeable but also for being genuinely caring for their customers. 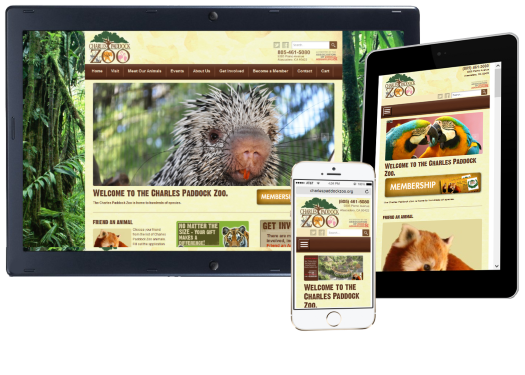 Mark Frey and the team donated their Web Design services to design our new website, www.parks4pups.org. I am thrilled beyond belief. Our organization can manage the site content, photos, and layout without any programming skills required. I recommend them highly! Great listeners, attentive problem-solvers, and created an excellent customized website that matched my business needs. I recommend them highly! Looking forward to future projects with them! Mark implemented our website eWoodArt.com in 2009, and has been managing ongoing changes to it ever since. This included significant custom development work on a unique custom design tool plus several other highly non-standard features. Thru it all, I’ve been impressed with the technical skills of Mark and his team, and with his positive, can-do attitude. Each thing that I have asked RockOn to implement on the site has been done efficiently and in a timely manner. Each time that I have asked RockOn whether something is possible, they have made it work. Each time there has been a problem, they have solved it. I want to say a big big thank you to you and your guys for all of your help on our web project. We are very very excited. We see this new part of our company having HUGE profit potential. I have been working with RockOn Interactive for a few months now and they have been such a huge help and support! I needed a completely new website and they were able to build one from scratch in the time frame that I needed. They took my ideas and style into consideration and created something amazing! I get compliments on my website all the time and it is all thanks to RockOn Interactive. They have even continued to service the website to make sure it is the best it can be! I am very happy with my product and the service that has come with it!